In a previous post I talked about making an up-to-date version of this dress. Well it is now finished – and what a disaster! 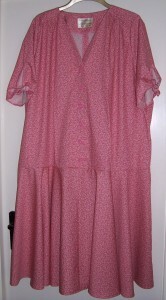 Obviously my shape has changed drastically since I last made the dress back in the late 1980s! I started to have doubts at the first fitting stage but decided to carry on, to paraphrase Mastermind, “I had started so I would finish!” The finish on the dress would, I think, pass muster on The Great British Sewing Bee! 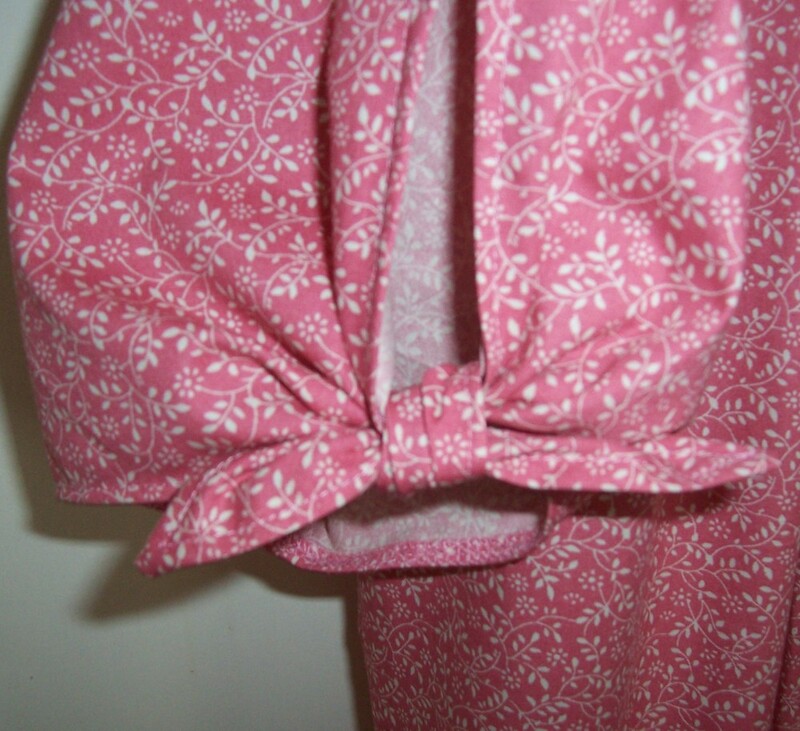 All seams were neatened with the fabulous new Juki Overlocker and the neckline and front facings were understitched really neatly and close to the edge. The sleeves inserted without a tuck, pleat or gather and so over all the garment is beautifully put together – it’s just does not suit my figure any longer! 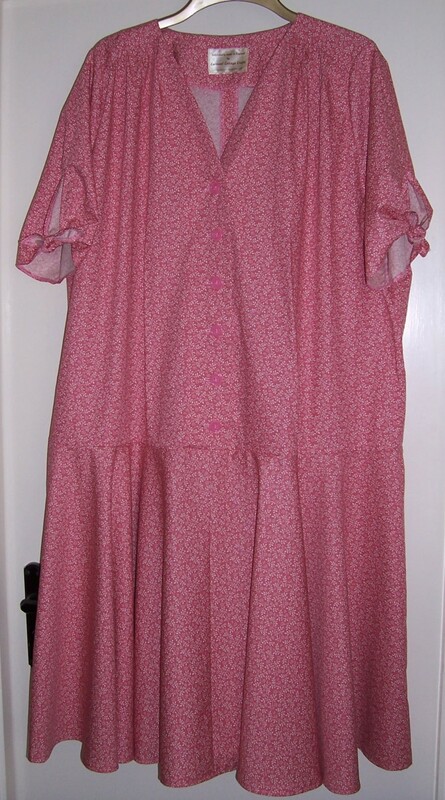 Again this dress has absolutely no hanger appeal and I hesitate to include some photographs but here goes…. 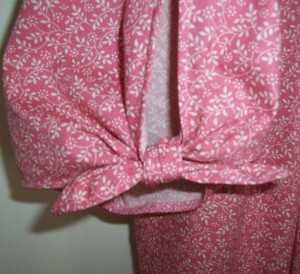 This is one dress that I will NOT be making again. I will keep the pattern that I drafted for the sleeves but otherwise the envelope will go into the “reject” pile.